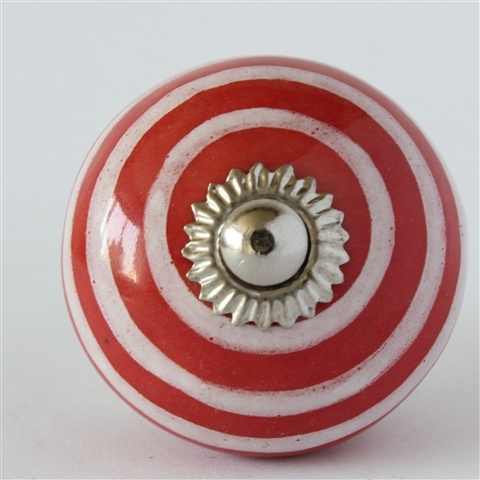 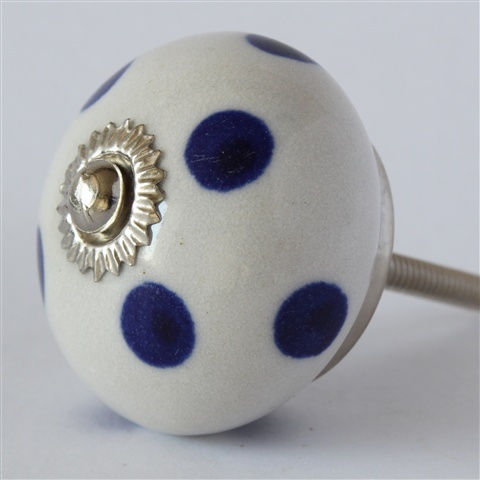 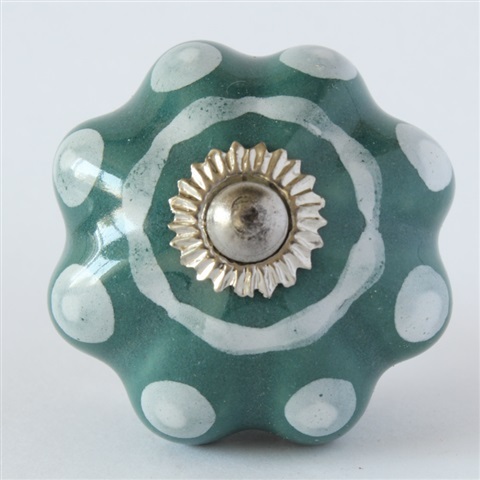 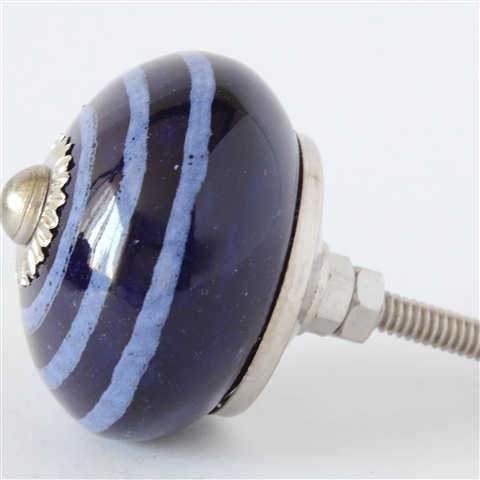 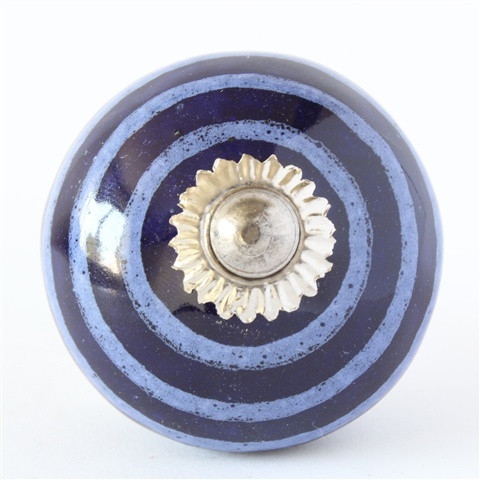 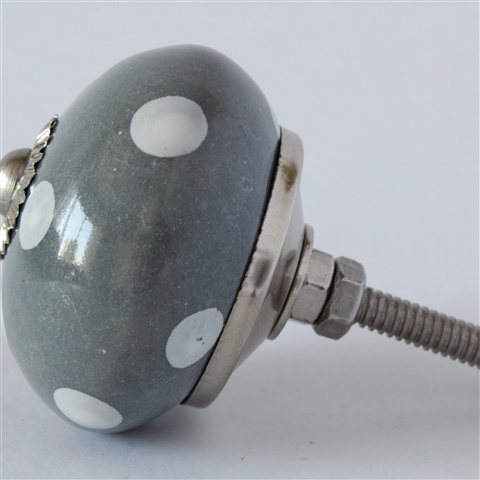 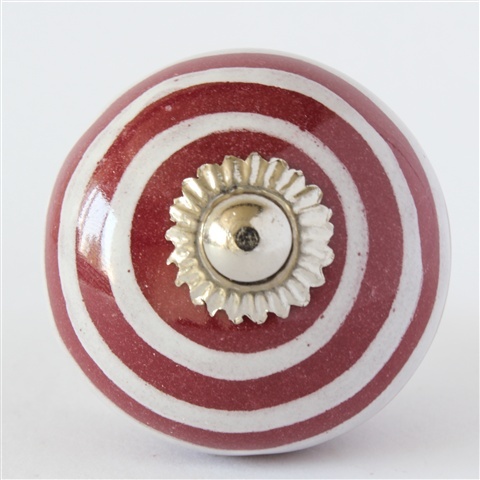 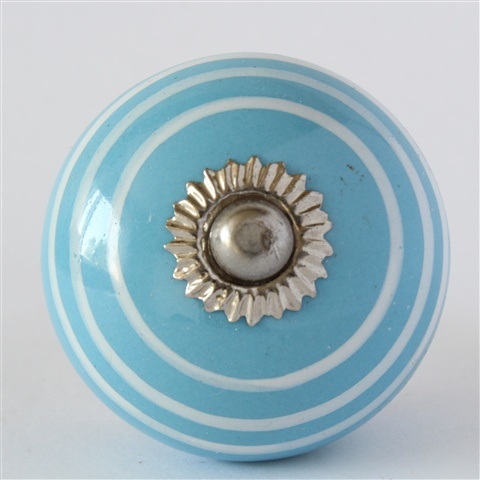 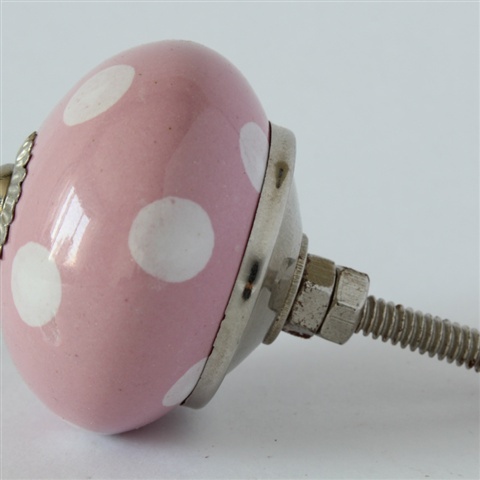 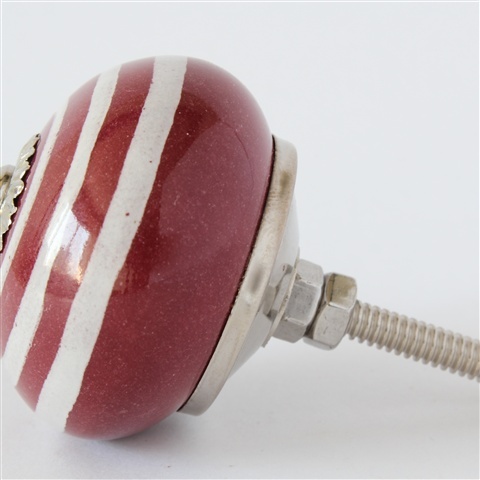 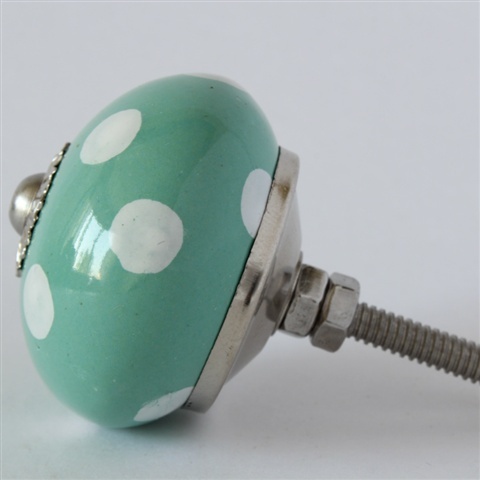 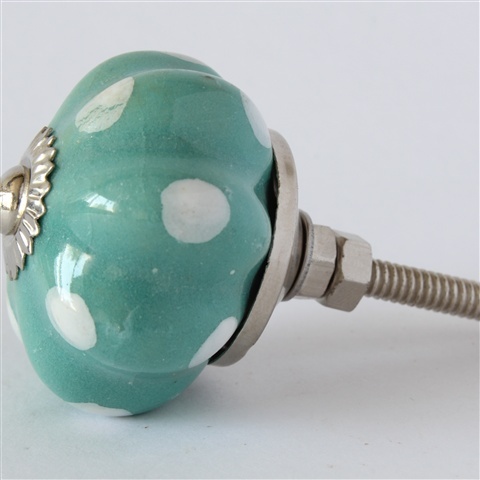 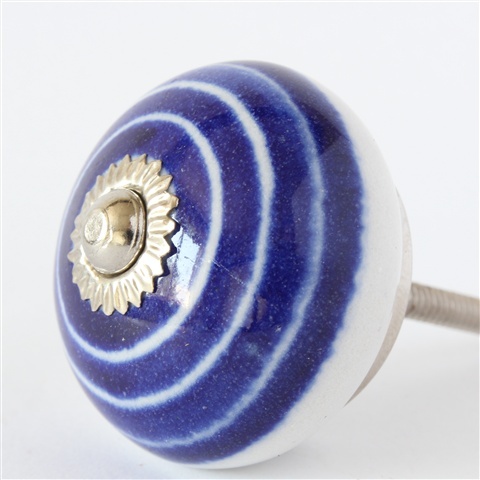 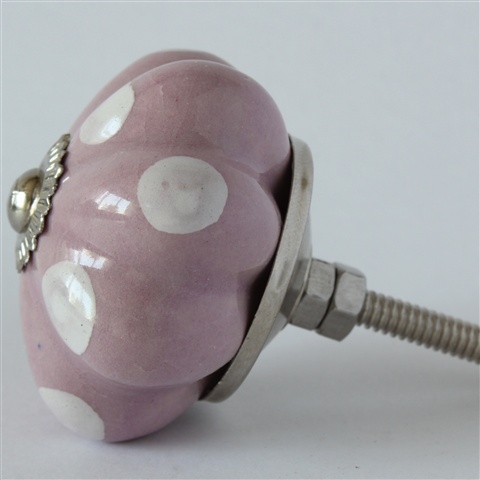 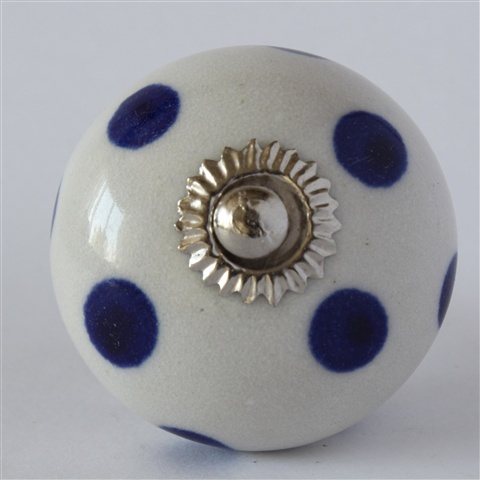 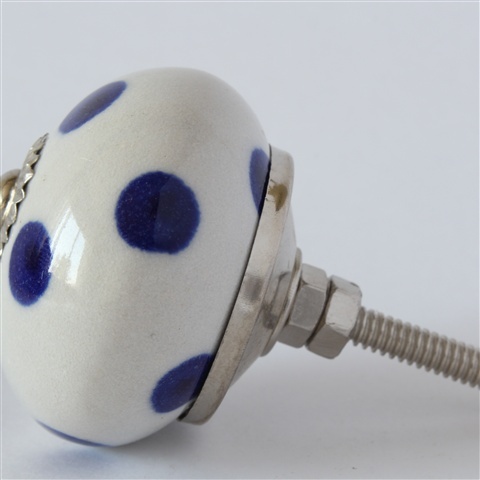 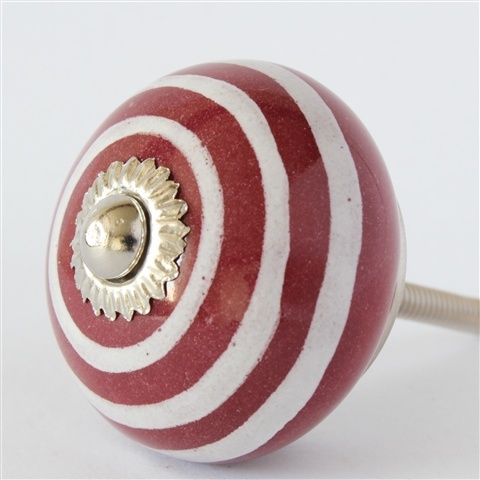 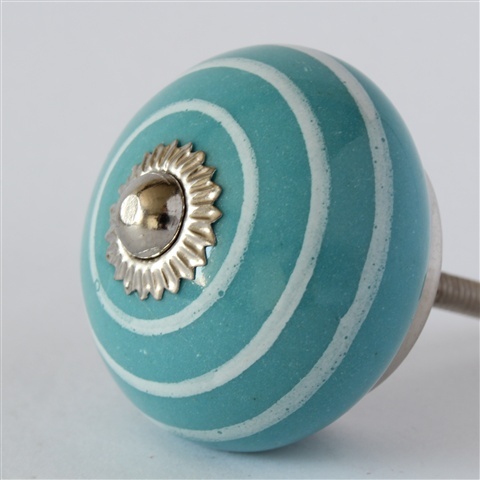 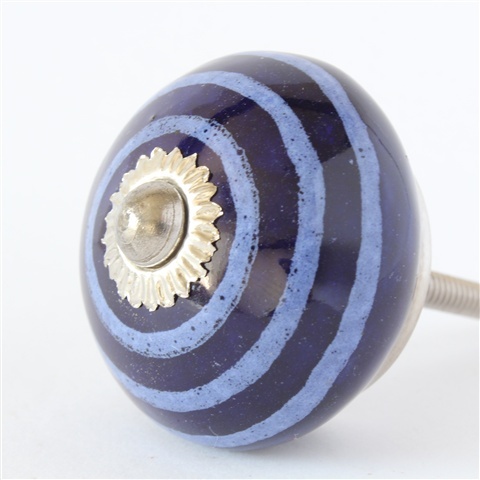 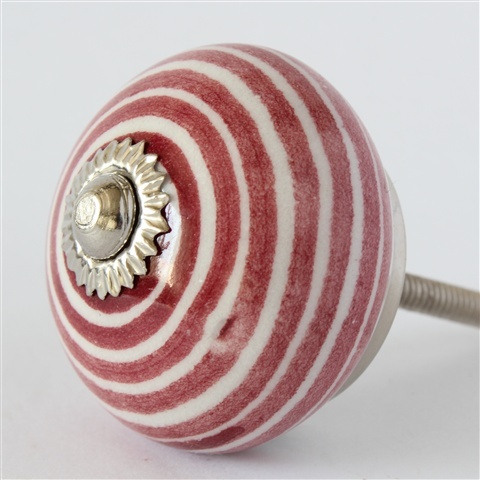 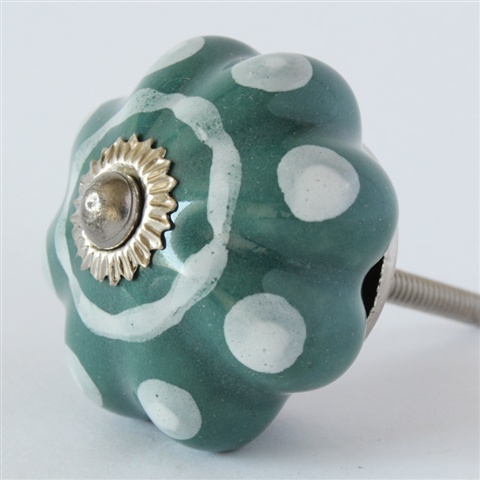 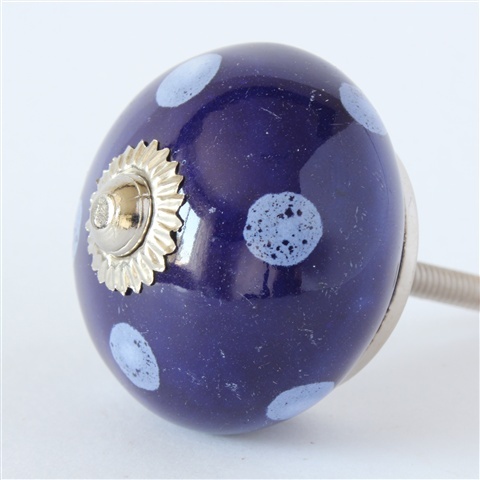 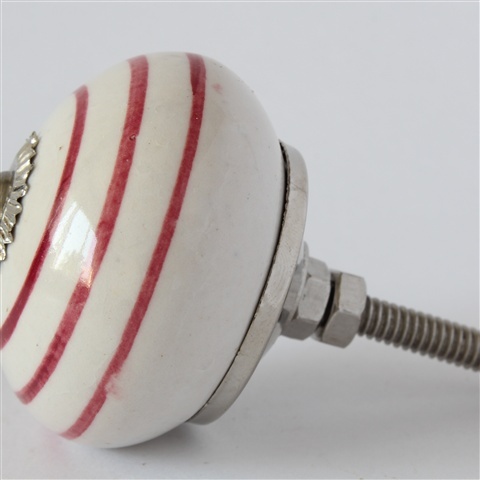 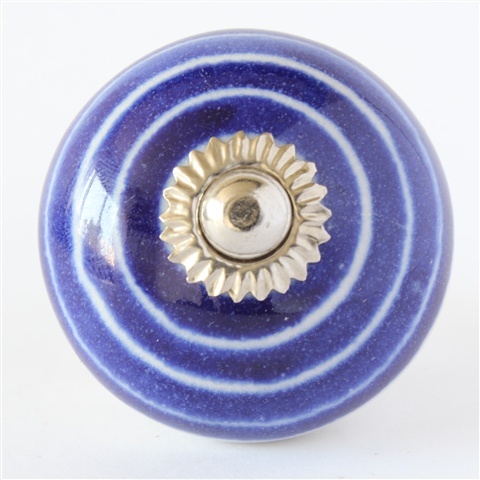 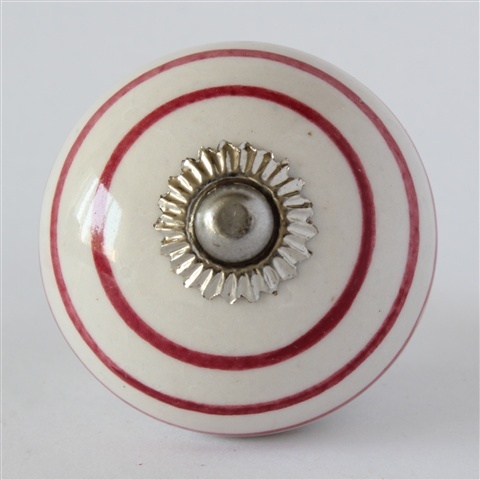 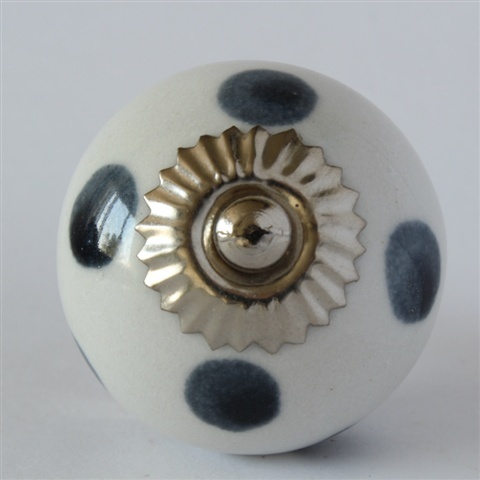 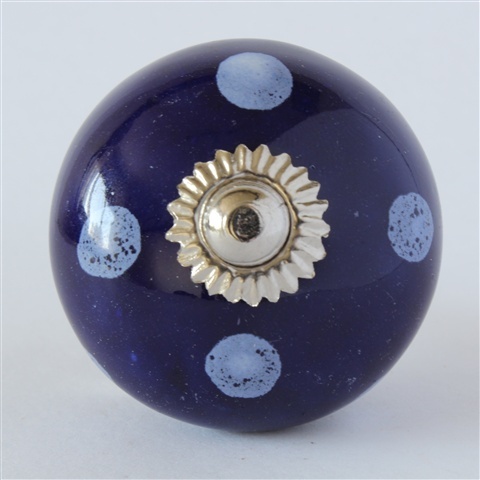 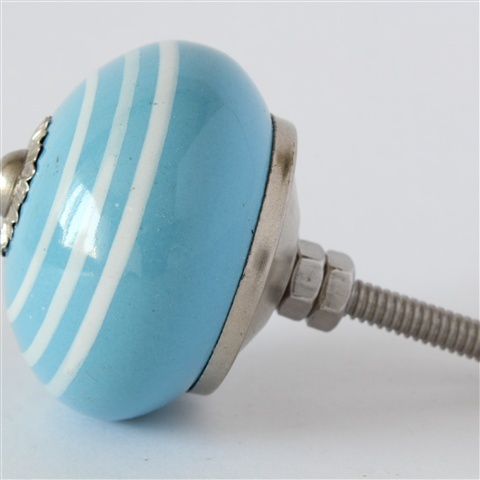 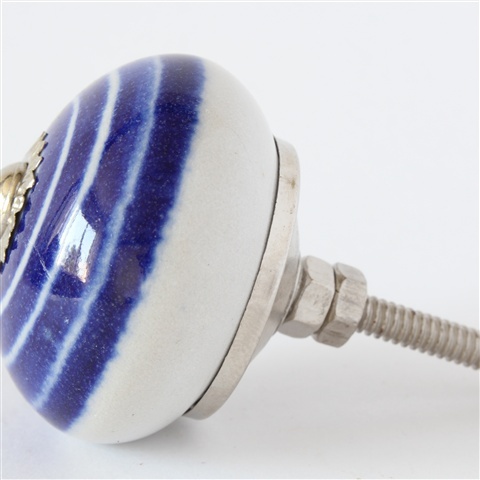 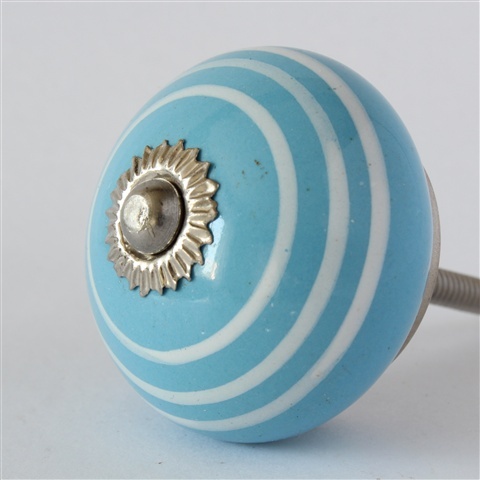 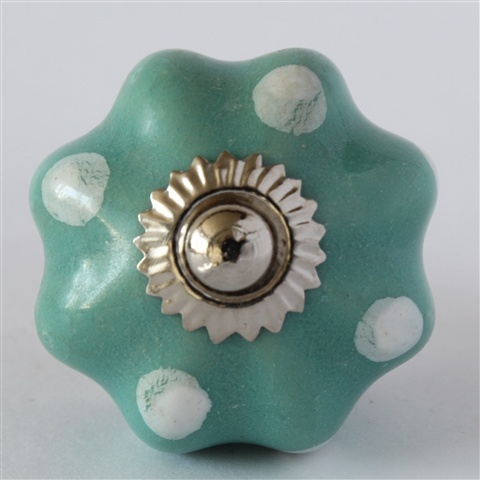 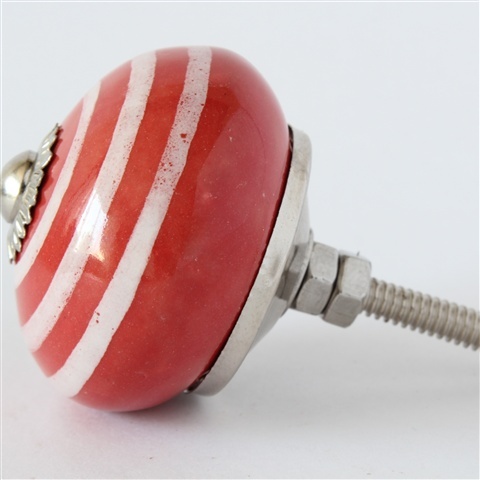 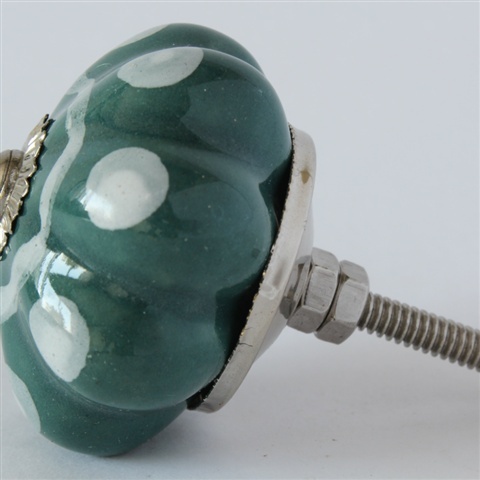 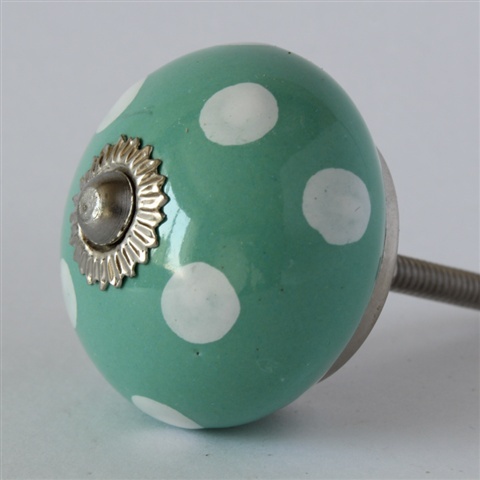 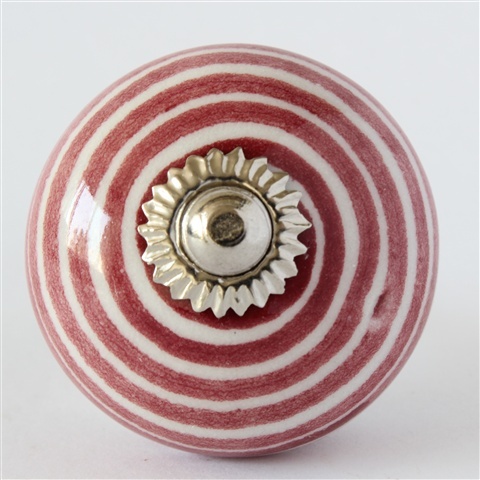 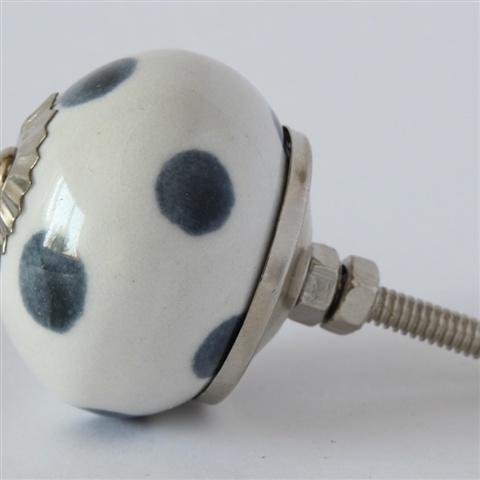 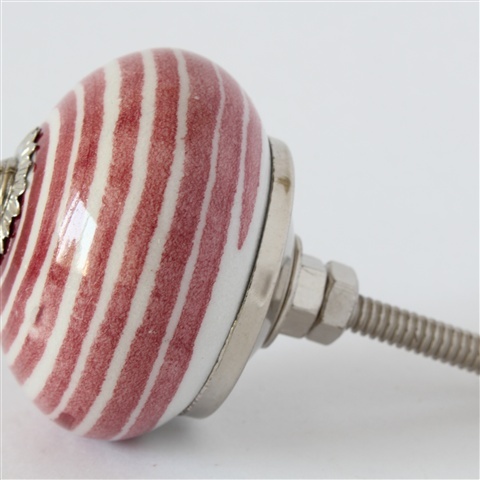 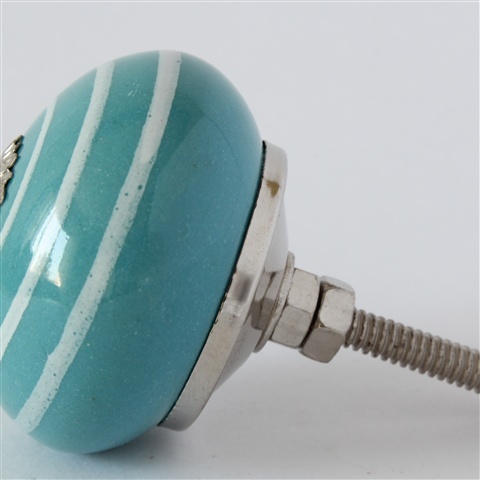 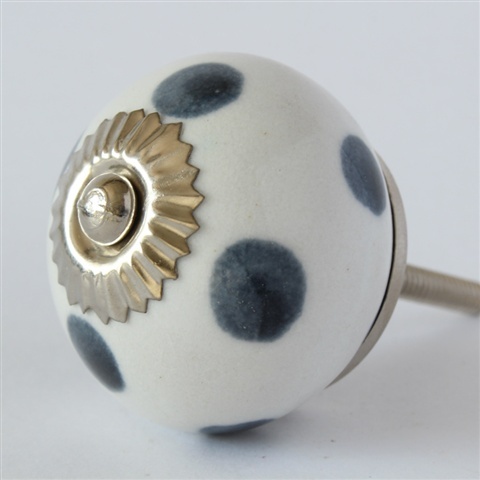 The classic, original patterns for ceramic knobs..go anywhere with anthing. 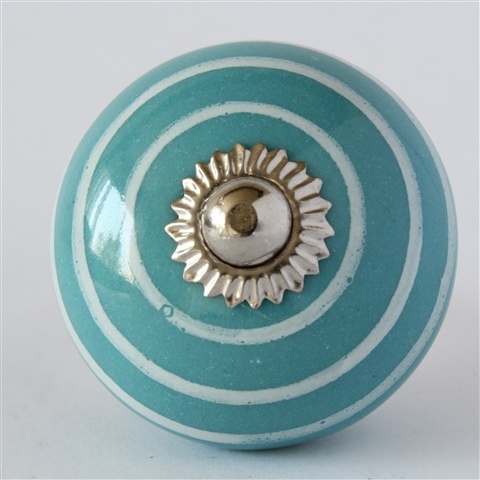 Always reminds me of the sky and the sea. 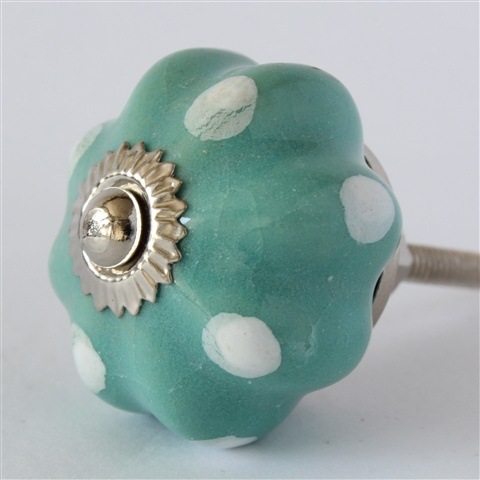 Flower, turquoise, spots.. what more do you want? 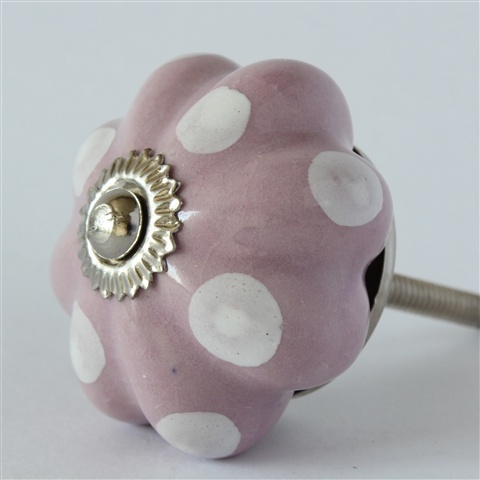 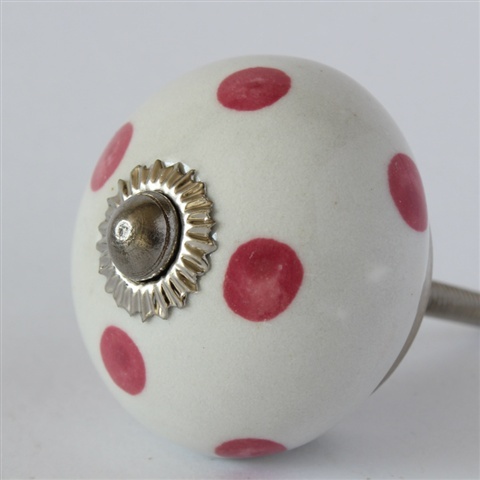 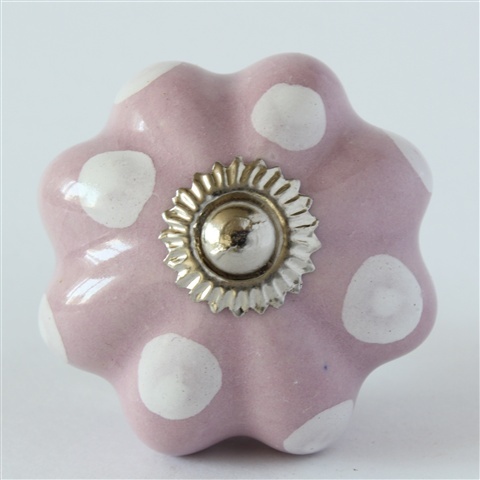 Spotty knobs with pink spots are awesome. 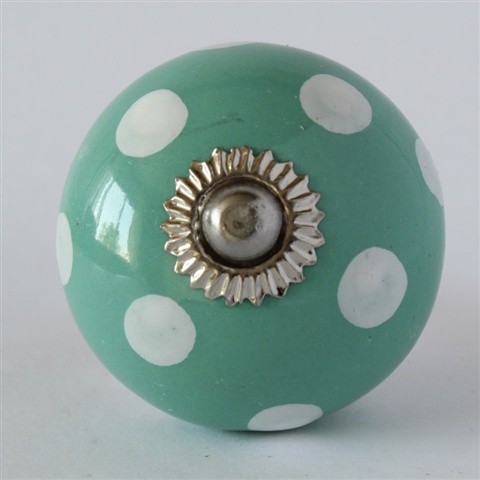 Yeah Yeah turquoise with white spots. 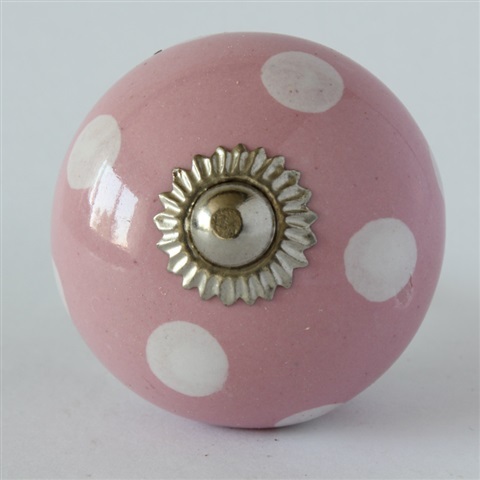 But are pink ones with white spots even better. 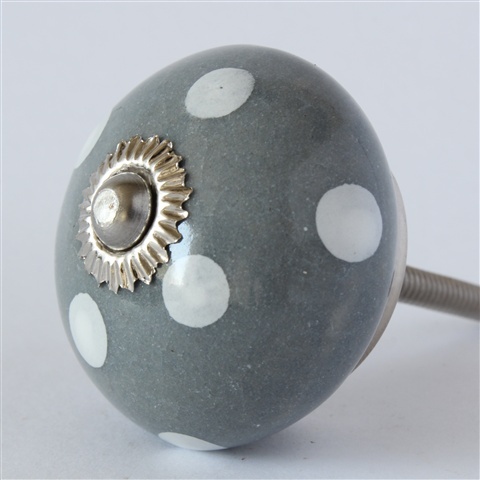 There's something about grey...cool and classy. 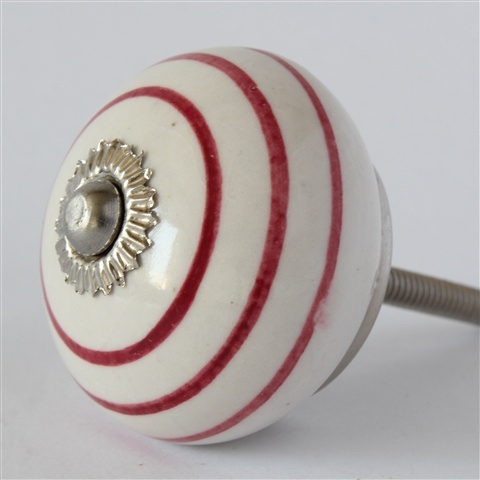 With an added white stripe. 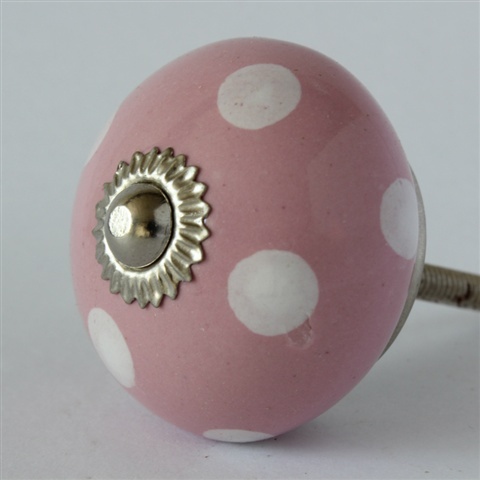 Yum pink with white spots. 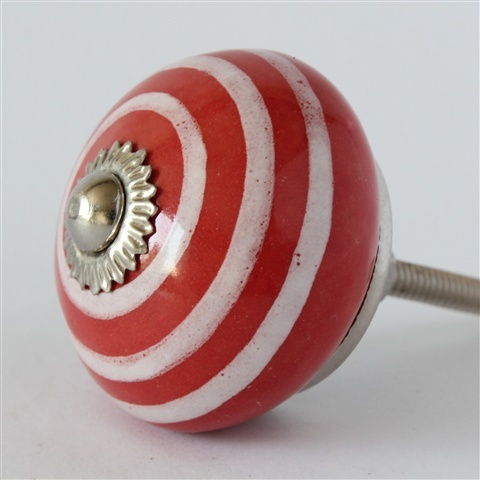 Are they all classics? 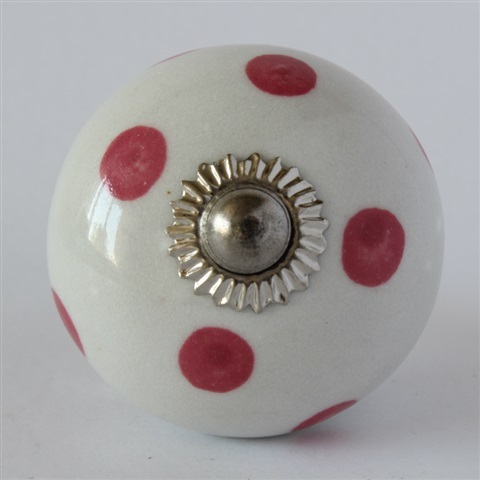 Here's another one. 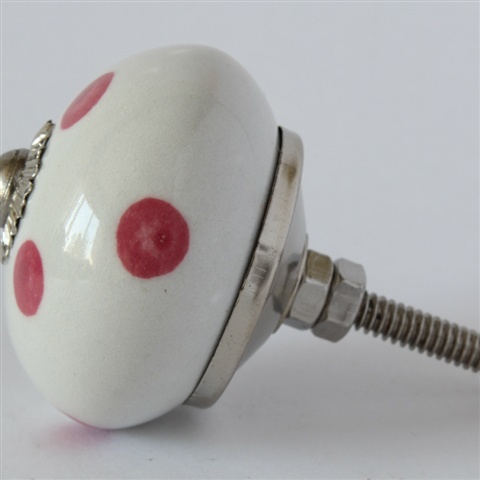 Definitely...you think so? 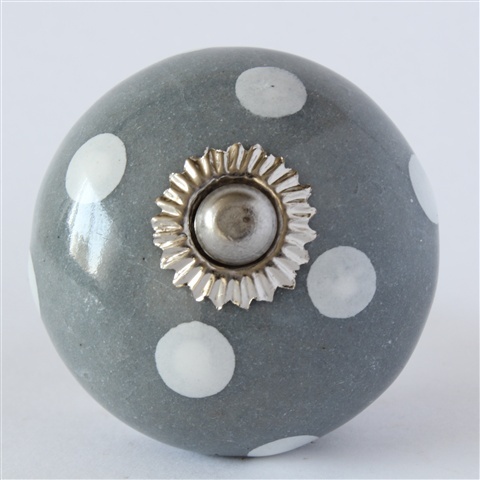 Ok its official grey and white go. 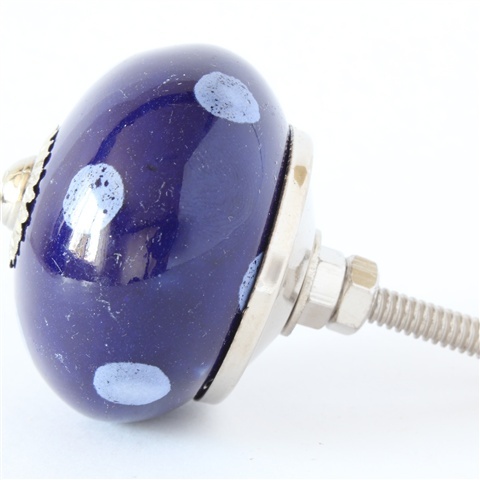 I've seen that before I hear you cry, but look closely...this one is full blue.